Please click on the thumbnails for a larger image. 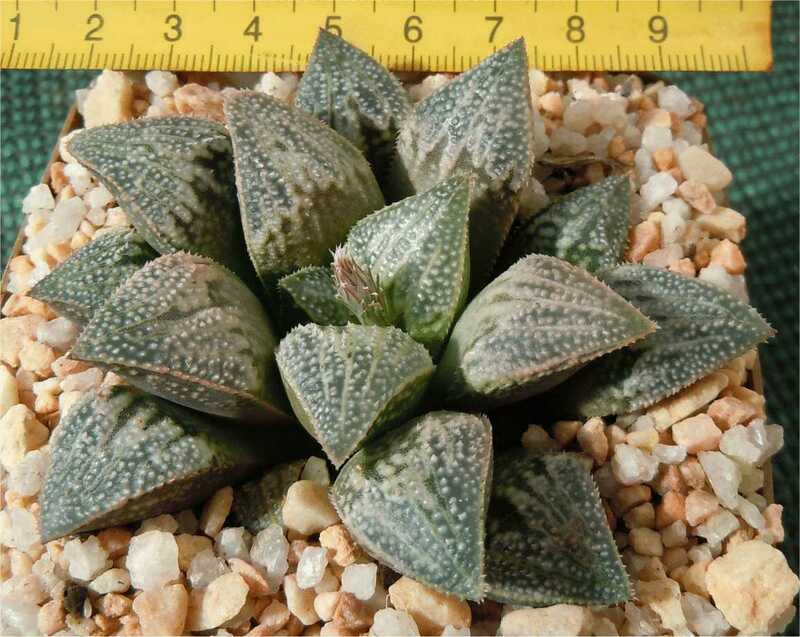 ****** Latest Price list sold out for now. 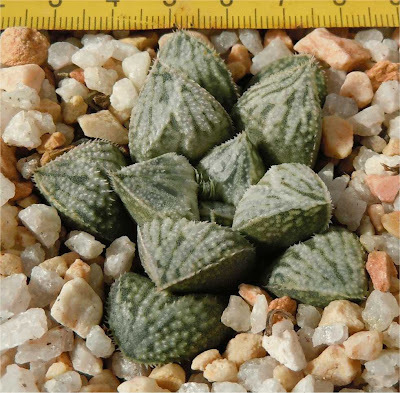 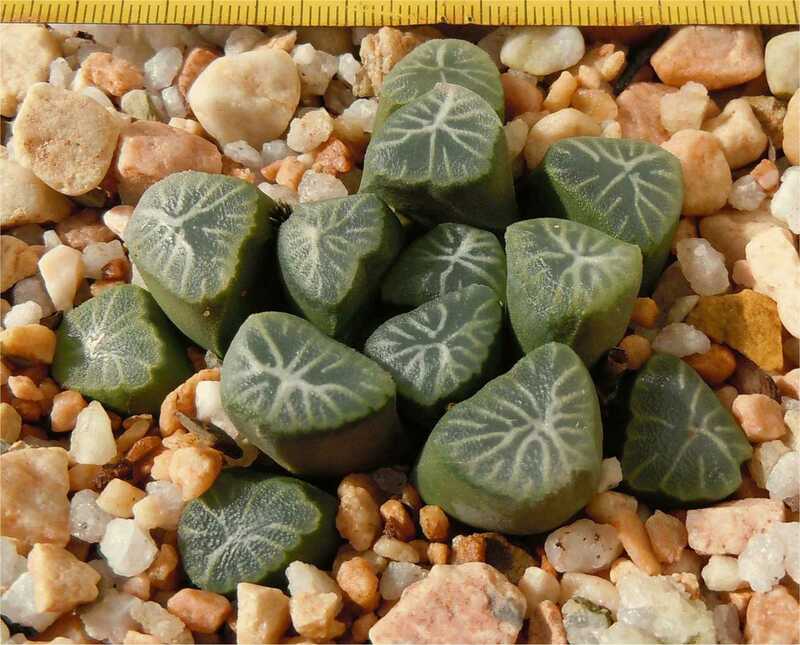 This site is dedicated to Haworthia cultivars and hybrids, mostly produced from selected South African and Japanese material. 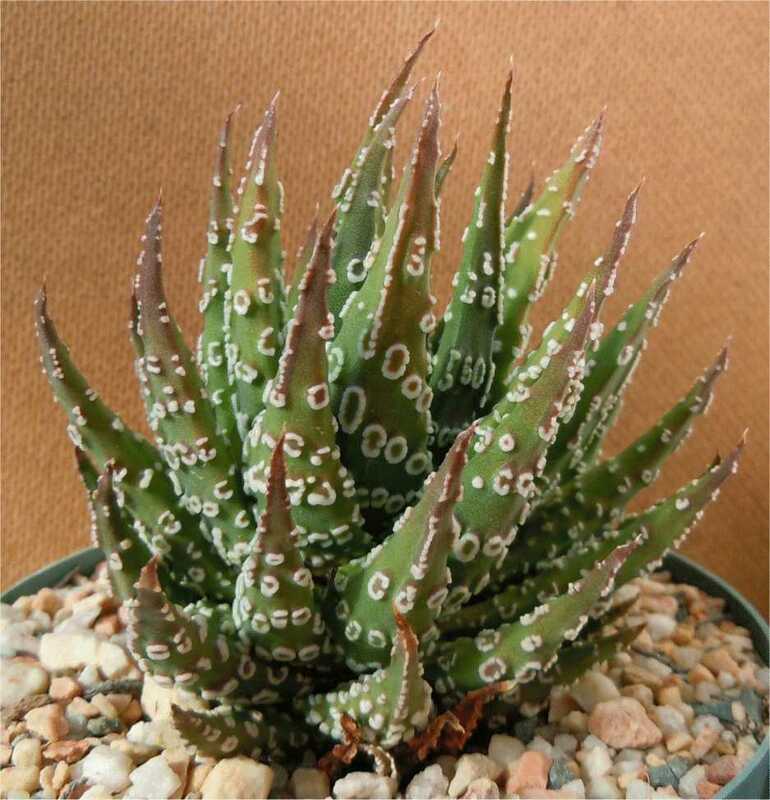 Many of the plants are from hybrid origin although some pure selected species are also included. 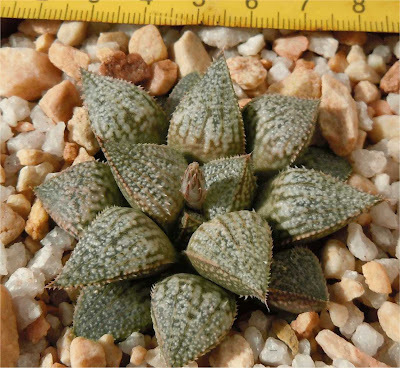 The majority of plants were selected, fertilized and cultivated by Gerhard Marx, an artist and one of the finest growers of Haworthia and succulent plants. I include numerous pictures of plants that have been auctioned off since 2008 and ones still to be auctioned. 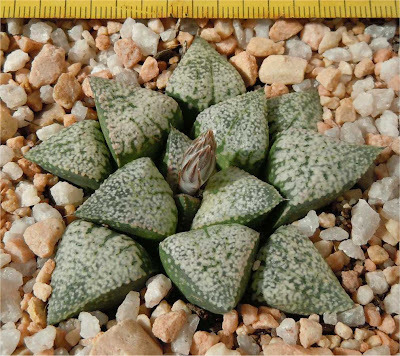 This site displays 7 cultivars at a time. Older pics will be in the archive. 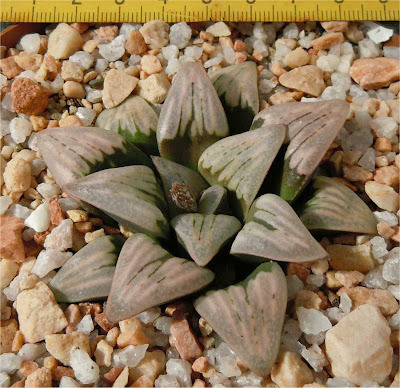 This is the original Haworthia mutica "White Widow" on display in the Karoo National Botanical Garden at Worcester. 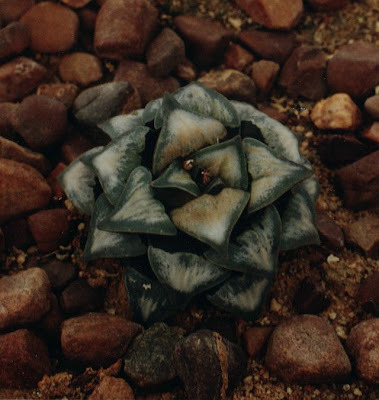 A photograph of the original plant also appears in the book "'Guide to Garden Succulents'. Gideon F. Smith & Ben-Erik van Wyk. 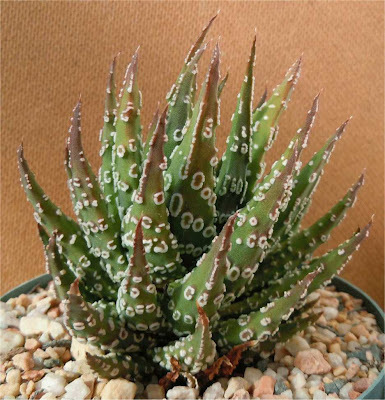 Briza Publications, Pretoria , 2008." The plant going on auction from Friday 290110 displayed above this post has already very similar features as this old plant.